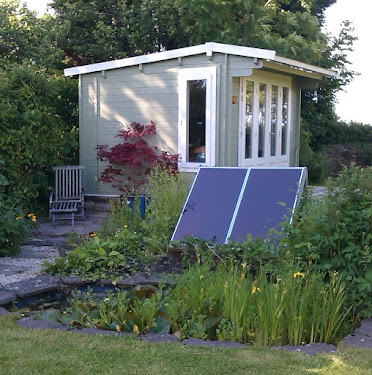 A lovely book reviewer and blogger has written this thoughtful and considered review of Daffodils and posted it on Goodreads. I feel honoured that she understood exactly what I was aiming for in showing how World War One impacted on ordinary people in a small community and how it toppled the hierarchy surrounding them. Peace Lily, the sequel, takes this theme into 1919 - and up a notch! "Daffodils might seem a bit of an incongruous title for a book about war. It is not, for even in war we must have hope. Daffodils in the fields of England and daffodils in the fields of France raise their sunny faces and offer hope even in the darkest of times. 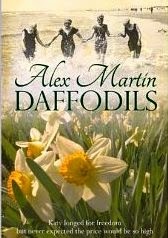 Daffodils by Alex Martin is a book about hope. And love, and sorrow, and despair. And war. But always, hope pushes through just as daffodils will push through the the seemingly frozen earth in Spring. Katy has a zest for life. A thirst for adventure. When that zest and thirst take her job and her reputation, Jem, who has loved her forever, steps forward and saves at least her reputation. He also gives her a new title, housewife and later mother. Heartache and deep sorrow tear the young couple apart and WWI offers Jem a refuge. Upon the news of his possible death in the field, Katy, trying to escape a manical Vicar who wants her love, joins the WAAC. Her life no longer belongs to her, but to the military, her country, and the war. It is here that Katy finally finds her strength. There are many contrasts in this book, none greater that the contrast between the two settings: Wiltshire, England and the battlefields of France. A second major contrast is between the classes that occupy rural England in the years before WWI. There is also a contrast between types of love. These contrasts Katy must learn to discern. This is an enjoyable historical fiction. An easy and quick read, the book has many descriptive passages. I most enjoyed the play with words that the author uses when she is describing a character's thought processes. The scenic descriptions are more predictable, but enjoyable nonetheless. The author's in-depth research is evident. Daffodils is a good read. It is not great literature, but it is certainly good literature, and a very good story. There is now a sequel Peace Lily. Yes, I will read it. I recommend this book. My copy was a verified purchase through Amazon where it is now only .99 in the USA. It is also available on Amazon UK."